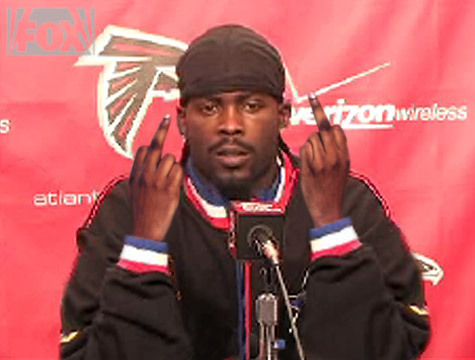 They want to trade Michael Vick…So where’s the story? Personally I don’t find it newsworthy when someone reports that someone who has claimed bankruptcy and is currently incarcerated, is being forced to auction off their house. No S%^* Sherlock! I don’t hate Vick, I just don’t see importance of these recent story’s. He has been kicked out of the NFL until Godell allows him back, and considering the current trend of rehablitated players like Pacman Jones, It is not hard to see that it won’t be easy for Vick to get back on the field. It just isn’t going to happen. If Godell just lets Vick play again in the NFL, The league would stand to take a massive hit in attendence as well as popularity! Plus, even if Vick were to return where would he even fit in? I think the real story is that the idiots in the Media are going to empower this moron and help him make some extra cash on his way to the NFL Hall of Shame, who recently enshrined Bam Norris and Rae Carruth. 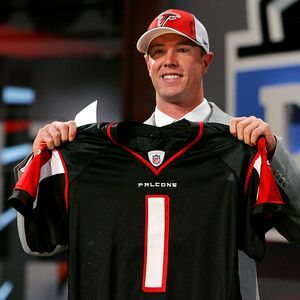 The Falcons have no use for him as a QB considering that they drafted Matt Ryan who played pretty well this season(87.7 QB Rating, compared to Vick’s last campaign in 06 of 75.5 QB Rating). “I want to ask one more time where is the story in this guy?” Atlanta has a better QB and a better team, that has no need for Vick and his “hood life issues”.The Media should not talk about this guy until he is allowed back in the NFL. It’s just that simple, NO ONE WIlL TRADE FOR A PLAYER WHO IS SUSPENDED!!!! SO SHUT UP STUPID MEDIA! Go CRY ABOUT BARRY BONDS OR SOMETHING!!! Another thing that has really upset me is the way people percieve Vick as a QB. I will agree that Vick has phenomenal atheletic talent, there is no denying that. Michael Vick has a gift for scrambling and sprinting, but I will tell you one thing people, for all the oooos and the aaghs this man isn’t worth his weight in dung as a QB. Vick is not a leader, and Vick is not a role model which he has never claimed to be thank god. People think of Vick as the quintessential black QB, because he is fast, quick, shifty and he has a very strong arm. However, Vick is not a good representation of great African American QB and that is what really upsets me about this situation. 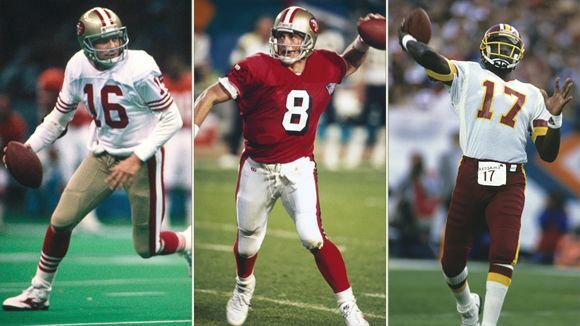 There are plenty of great black QB’s who could be the benchmark for what is it to be a great African American QB, But for some reason when I ask someone to name a “Black QB” most people think of Michael Vick. 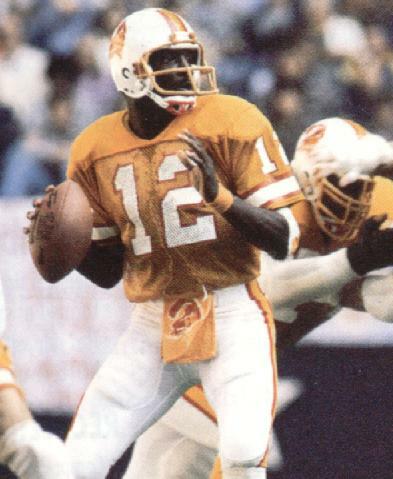 Why is it that no one talks about Doug Williams, who was the first black QB to win a Superbowl. Why is it that the NFL has moved so far from empowering the legends of Steve Mcnair or Warren Moon? Those are some funny pictures! Vick is a great QB though, can’t hate him cause he is fast!! That doesn’t make him a great QB or a great football player for that matter…Speed is only part of this game. Speed kills as they say, but explain why most track stars can’t play the game even though they are faster than vick??! !